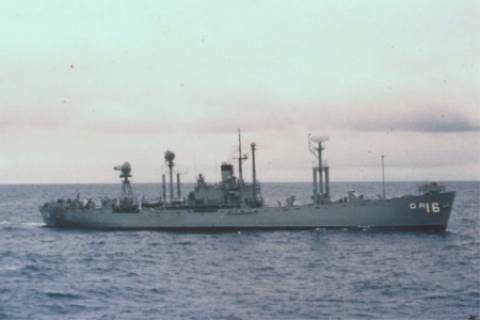 This page has been developed so that sailors and officers who served aboard the USS WATCHMAN (AGR-16) may share memories through photos, documents, sea stories and the like. Others may enjoy becoming acquainted with the ship and the "cold warriors" that manned her. Additionally, I hope it serves as a small testimonial to those many long and lonely vigils on the Pacific barrier stood by hundreds of sailors between 1959 and 1965.